This sheet mask is part of the ‘I Need You’ range from Étude House, a huge collection of 20 different varieties for all types of skin needs. I picked the lemon version as it sounded refreshing, it contains vitamin C, and the properties of lemon are known to brighten up the skin tone. It works much the same as every facial sheet mask: each packet contains one use, you apply the sheet to your skin leaving it on for 10-15 mins (I usually give it half an hour) so that the serum can soak in, then you remove the mask and massage in any excess product left on the skin. 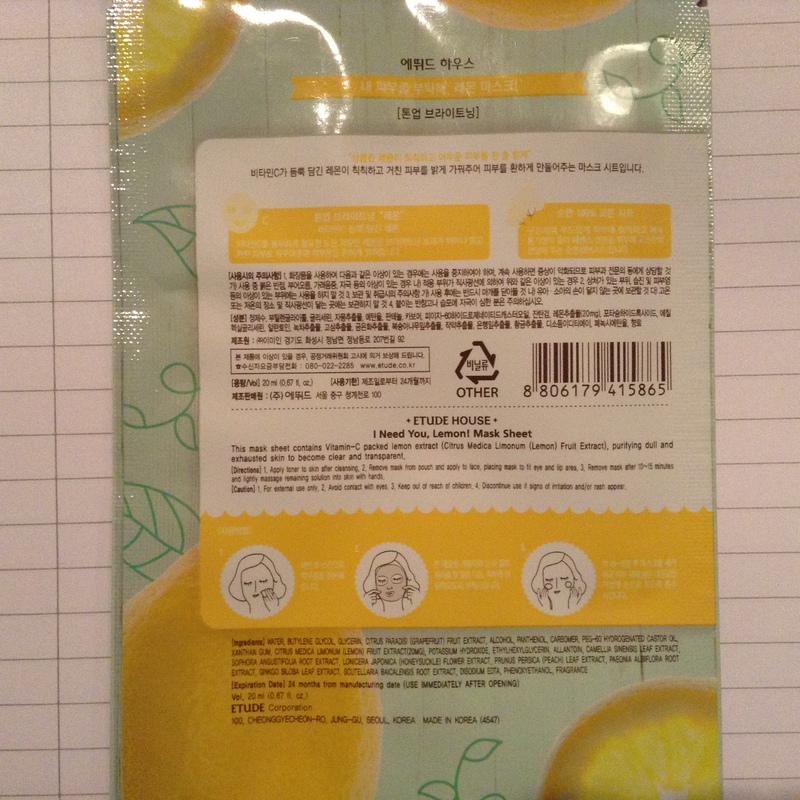 This sheet mask comes very heavily soaked with the solution which made it feel like it was doing a good job, and it has a lovely, light lemon scent. I really liked the way this mask left my skin feeling clear, bright and moisturised, and when I used it just before bed I woke up the next day with glowing skin. Overall I’d say this mask from Étude House is almost as good as my favourite Tony Moly ones, and I’d definitely repurchase more or others from the line.